In his address to the nation, President Trump once again offered an olive branch to the Democrats. In exchange for $5.7 billion in funding for a border wall, he gave his support for a three-year extension of protection for the 700,000 immigrants who arrived in the country as children. This group was protected from deportation by former President Obama in his Deferred Action for Childhood Arrivals (DACA) program. His previous offers to negotiate and compromise have been rejected by Democrats, who are being held captive by their far-left wing, which supports open borders. The President may soon come to the realization that the only way to end the government shutdown is to give up on a deal with the Democrats and declare a national emergency and start building the wall on his own. With the 2020 presidential campaign already in motion, President Trump recognizes the importance of this issue to his chances of winning another term. It has been his most significant campaign pledge since the very beginning. In his announcement speech, Trump focused on the problem of illegal immigration. He famously said, “When Mexico sends its people, they're not sending their best... They're sending people that have lots of problems, and they're bringing those problems with [them]. They're bringing drugs. They're bringing crime. They're rapists. And some, I assume, are good people.” These remarks led to a swift backlash as he was universally denounced by the news media, Democratic and Republican Party leaders, Macy’s, Univision, NBC and other corporate giants. Despite the uproar, Trump did not apologize, and this launched his campaign as a candidate who was not only fighting against political correctness, but also one who understood the problems of open borders. For decades, politicians of both parties had promised action in curtailing illegal immigration; however, they never delivered anything but broken promises. In 1986, President Ronald Reagan signed a bill that granted amnesty to approximately 3 million illegal aliens. In exchange for supporting this measure, Reagan was promised that the bill’s “keystone” was a provision that would eliminate “job opportunities which draw illegal aliens here.” The bill created fines up to $10,000 per case for employers who “knowingly” hired illegal aliens. Unfortunately, Reagan was sold a bill of goods as amnesty was awarded, but the crackdown on employers never materialized. 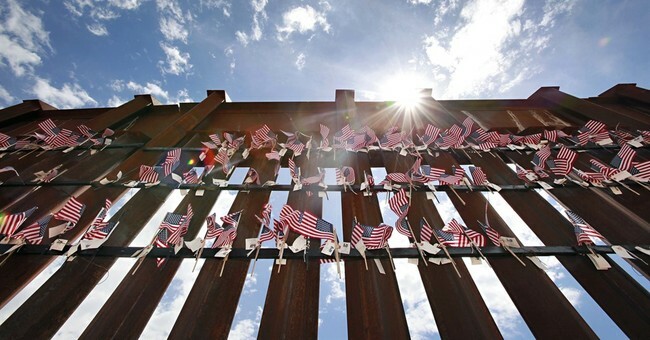 Thus, the country’s illegal immigration population has grown from 3 million in 1986 to at least 22 million today, according to a September 2018 study released by Yale University and MIT. President Trump realizes that the open border situation has become a full-blown crisis, while Democrats and their partners in the news media claim it is only “manufactured.” One group that truly recognizes the problem of illegal immigration and knows it is not “manufactured” is working class Americans, who have been negatively impacted for decades. These are the people who have lost their jobs or seen their wages reduced. While the business elites from Wall Street pushed unchecked expansion of illegal immigration and open borders, tax paying Americans on Main Street wanted our government to address a growing problem. After decades of meaningless rhetoric, Donald Trump entered the political arena and effectively championed the issue of border security and a wall to win the presidency and shock the so-called experts. It is an issue tied to Donald Trump’s success, but, if he does not deliver on his promise, it will be the anchor that will bring down his presidency and destroy his chances for re-election. His large and loyal base of supporters is demanding that the President stand firm on his pledge to build a border wall despite the government shutdown. A more important reason to stand firm on the wall today is that it will never be built if Trump relents to the pressure. Without a border wall, illegal immigrants will continue to stream into the country and Democrats will benefit as Republican states such as Texas will turn into liberal strongholds. This is exactly what happened in California and it is in the process of happening in Arizona, Nevada and New Mexico. If this Democrat Party aspiration is ever realized, Republicans will have no chance of winning the presidency again and the dreams of a border wall will never be fulfilled. The stakes in this battle are huge for the future of the Trump presidency, the Republican Party, and especially the country. For all of these reasons, the President needs to stand firm, withstand the pressure and, finally, build the wall, one way or another.